THE GOOD - Three dimensional characters on the page lends itself well to three actors who give depth and humanity to their performances. Dano shows control over the camera. THE BAD - The film may be too slowly plotted and/or dull. ​​​​Imagine if you took the personal life decisions of "Brooklyn," mixed them with the domestic rift drama between husband and wife in "Revolutionary Road" (And their period aesthetics) and set it against the backdrop of the beautiful Montana scenery of "Certain Women" and you get Paul Dano's directorial debut, "Wildlife." The actor co-writes (With his partner, actress Zoe Kazan) and directs the film with a sure hand that is steady and focuses on character, allowing the actors to give fully fleshed out and complex performances. It features Carey Mulligan's best work since "Shame," the always reliable Jake Gyllenhaal and a breakout performance from Ed Oxenbould as the 14-year-old son caught between his two parents. Based on the novel by Richard Ford, "Wildlife" takes place in Montana during the 1960's. It follows the slow destruction of a marriage between a seemingly perfect and happy family. When Jerry Brinson (Jake Gyllenhaal) is fired from his job, he enlists to stop wildfires which takes him away from his wife Jeanette (Carey Mulligan) and their son Joe (Ed Oxenbould) for an undisclosed long period of time. Full of spite and anger, Jeanette attempts to get a new job to help support the family while her husband is away and starts a flirtatious relationship with a successful car-dealer, Warren Miller (Bill Camp). Confused and powerless, the young Joe has no choice but to watch his mother grow closer to Mr. Warren and further away from his loving father. Whether "Wildlife" is a personal film from Dano/Kazan or not, there is no denying the intimacy with which the camera has with the characters and story contained within. As told through the eyes of Joe, Dano has the perfect lens through which to frame his patient and crushing story about selfishness, pride, and spite. 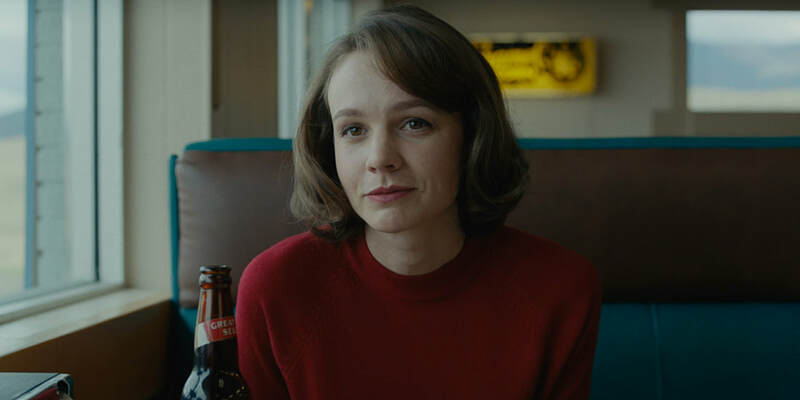 The character of Jeanette Brinson provides Carey Mulligan with her meatiest role in years. As she re-discovers herself due to the resentment towards her husband, we see how drastically, yet gradually her character changes throughout the course of the film. Special attention must be paid to the writing which does not provide the actors with forceful decisions that do not make sense. We are always aware of why the characters are behaving the way that they are. Dano also infuses his film with a sense of beauty for the Montana landscape. Gorgeous establishing shots and delicate close-ups on the actor's faces with moody lighting helps to immerse us in their emotional states of mind. Despite disappearing for a large chunk of the film, Jake Gyllenhaal does a lot with a little but the real leading actor of the film is Ed Oxenbould. We are always asking ourselves, "How is the disintegration of the marriage impacting Joe?" Paul Dano leans into Joe's state of mind just as much as Mulligan's to give us a guide through the film's narrative and the impact of it, showing a loss of innocence. It's heartbreaking to see this young boy, so desperately not wanting to see his parents resent each other the way that they do, react to the reality which has befallen upon him. This is highlighted the most during an awkward dinner scene between Jeanette and Mr. Miller, in which Joe is helpless to stop his mother from making decisions which continue to destroy their seemingly perfect family. "Wildlife" is a confident and accomplished directorial debut from Paul Dano. He commands the camera in such a naturalistic manner, you would think he has made a bunch of films before this one. Equally deserving of praise is the writing and the performances by the actors, especially Carey Mulligan. It may be a bit too slowly paced and plotted in such a mundane manner that many might not be able to grasp onto it as strongly as others but there's no denying that Dano is a talent to watch, now behind the camera.